Staff Sergeant Winthrop Carter has just been drafted into the Nightstalkers - an elite group of soldiers that... Actually, he's not quite sure what they do. 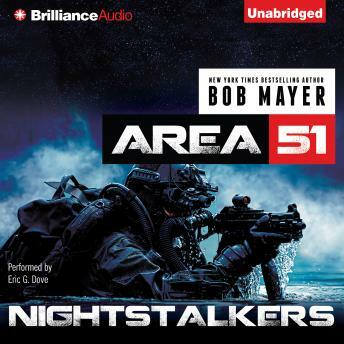 Born from the Area 51 initiative, the Nightstalkers defy sanity and decorum and include among their ranks Moms, a Black Ops trainee too extreme for Special Forces; Doc, a scientific crackpot; Roland, the weapons enthusiast; and Mac, a contemporary MacGyver. All of them take their orders from the elusive Ms. Jones, who everyone claims is just a hologram. Those orders include tracking down and sealing tears in our reality that are releasing interdimensional beings known only as Fireflies - creatures that take control of both living and inanimate matter in order to unleash wanton destruction. Just as Carter is settling in, a rogue scientist triggers a fresh invasion of Fireflies that swarm a swanky gated community. Now it's up to Carter and his new teammates to neutralize the threat while figuring out who's behind the breach.